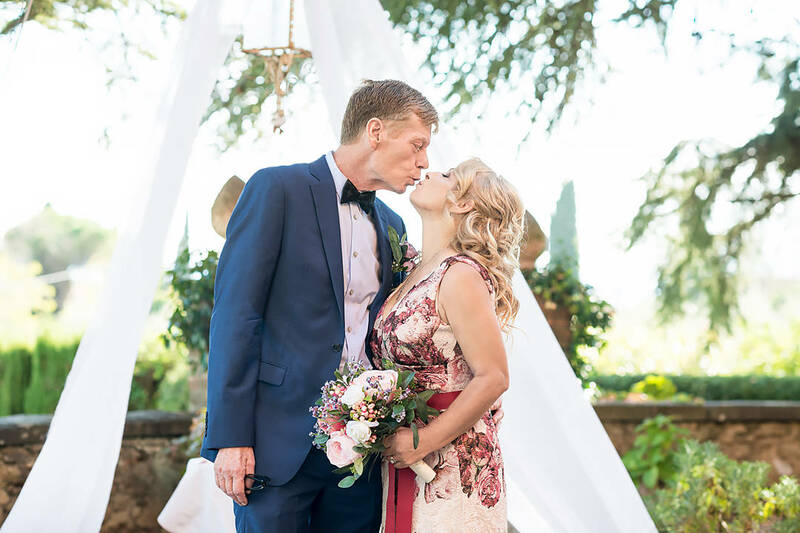 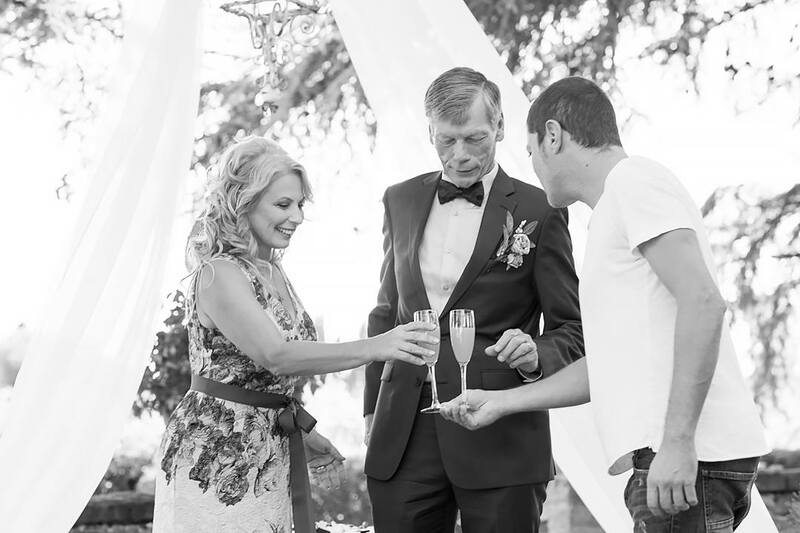 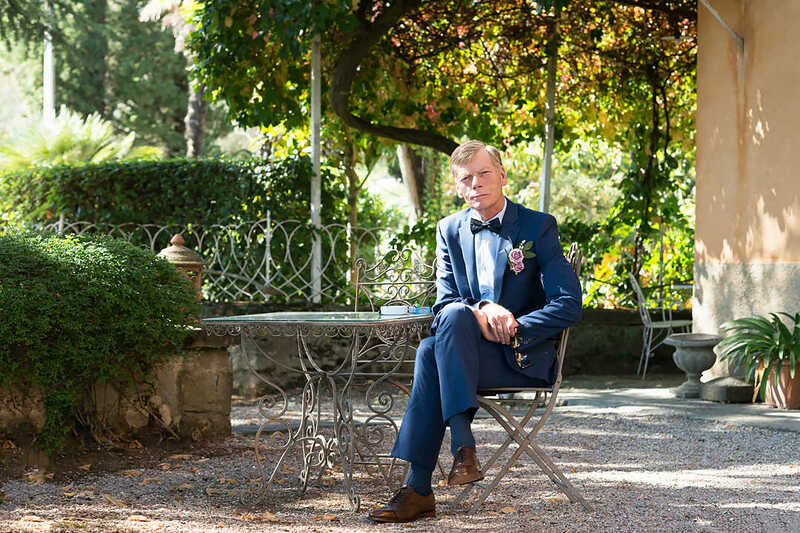 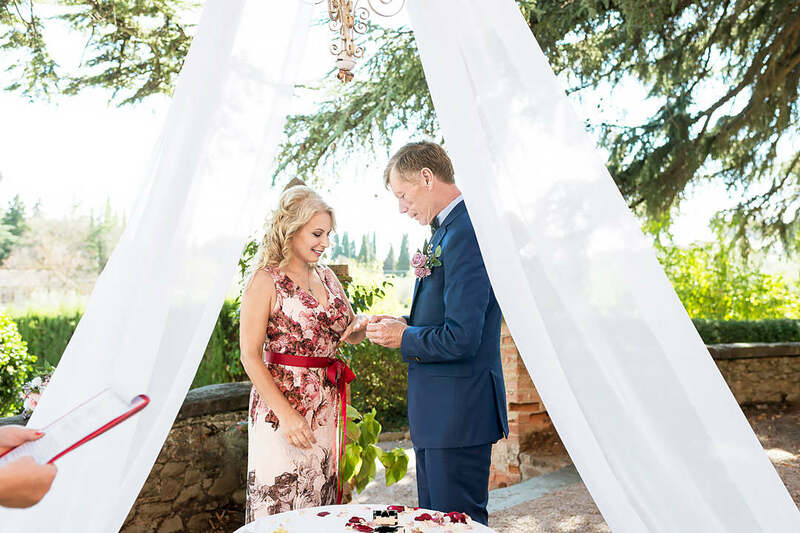 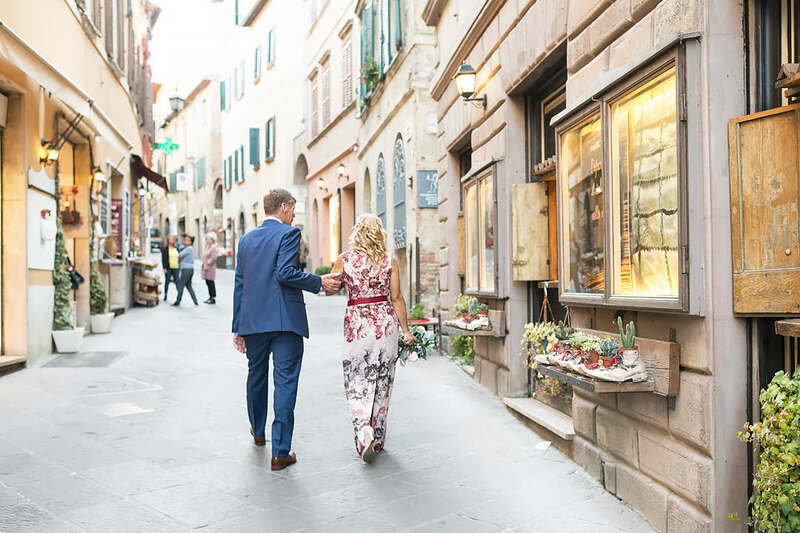 This symbolic wedding ceremony took place in the Umbria region, in a small town on the shores of Lake Trasimeno, almost at the border of Umbria with Tuscany. 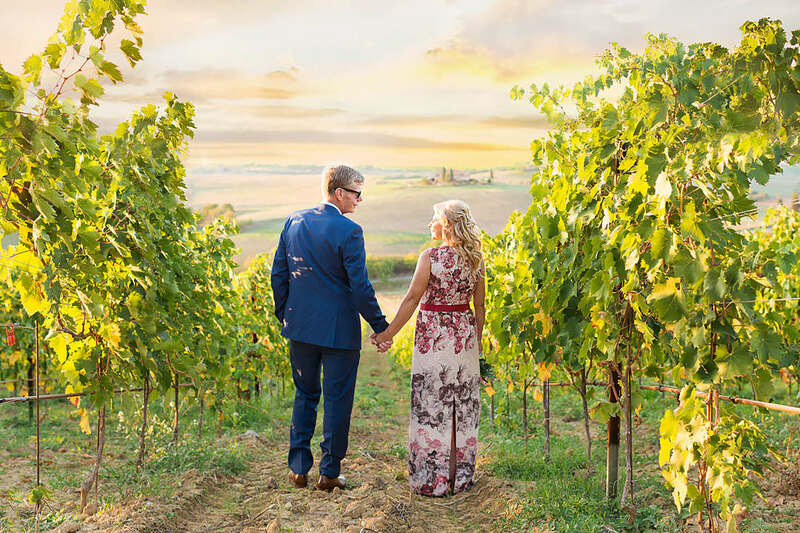 A wedding photo shooting we held in Tuscany, in the city of Montepulciano, which is located about 30 km from Lake Trasimeno. 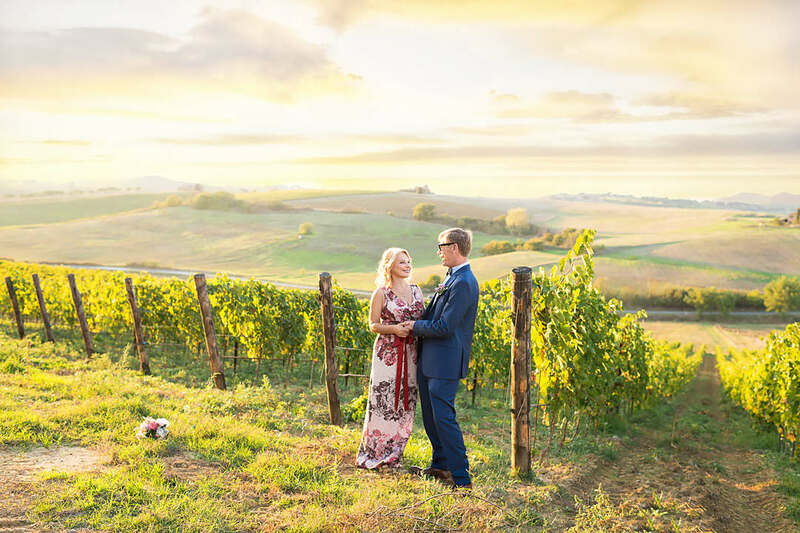 The couple settled in a beautiful agriturismo with a restaurant and spa center, in the morning we filmed the bride's preparations there, and then we held a touching symbolic ceremony, and after the ceremony we went to Montepulciano, admiring the magnificent landscapes of Umbria and Tuscany. 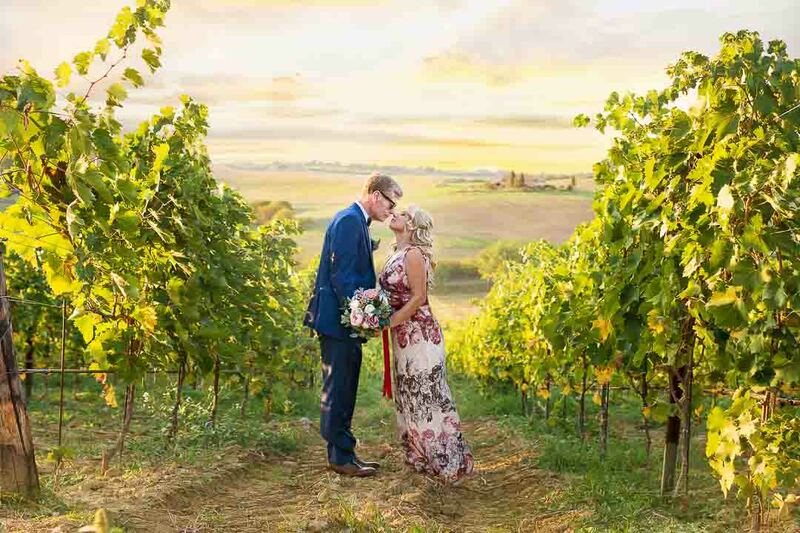 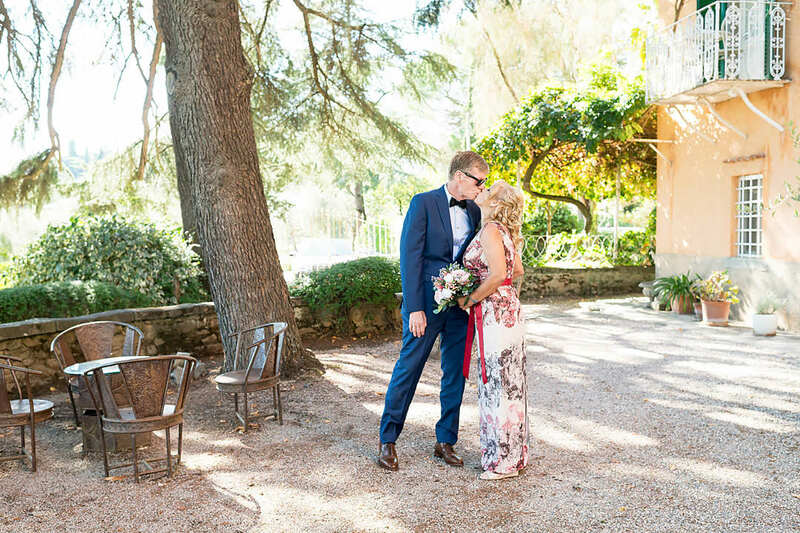 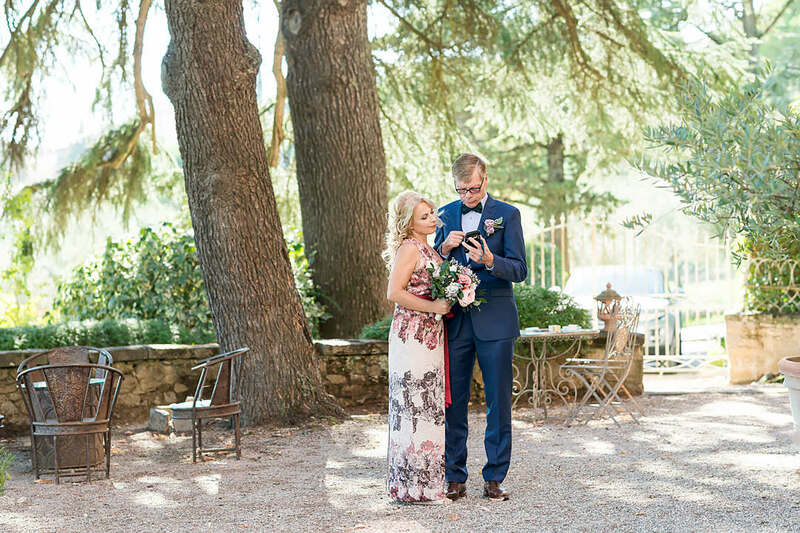 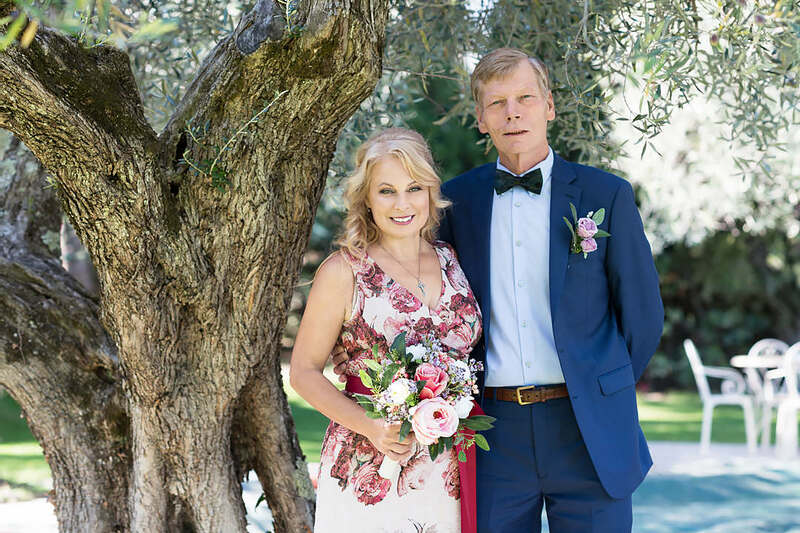 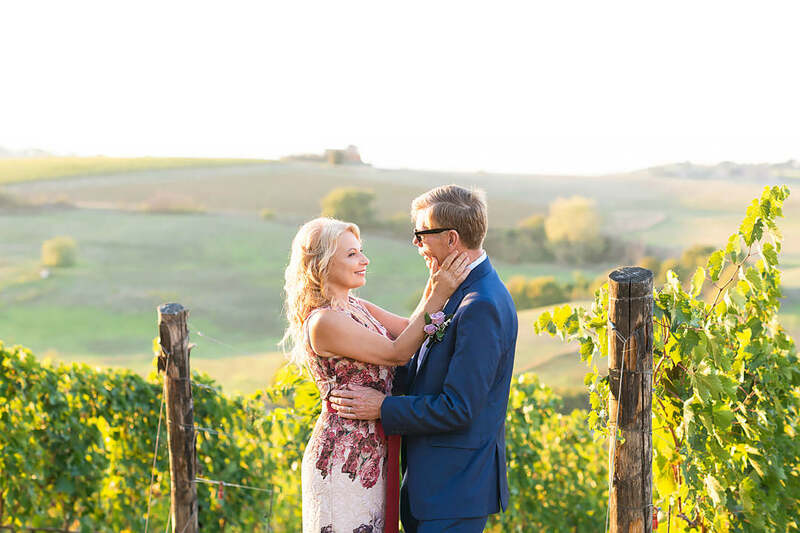 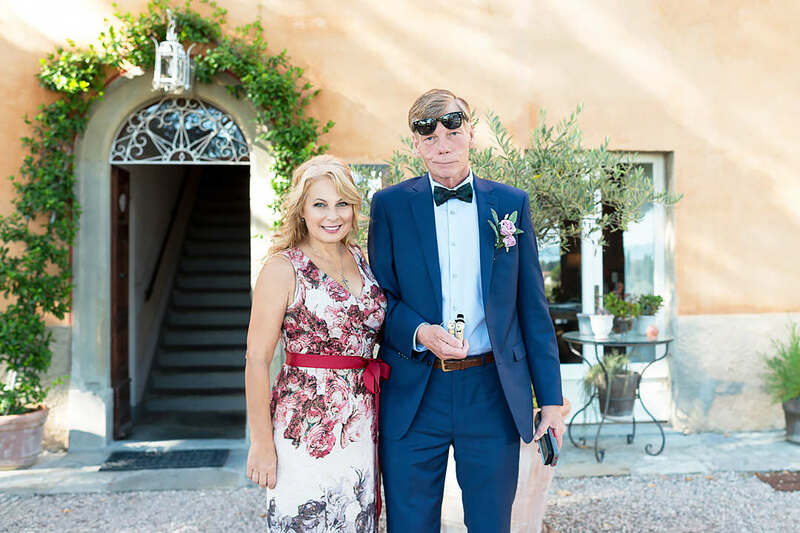 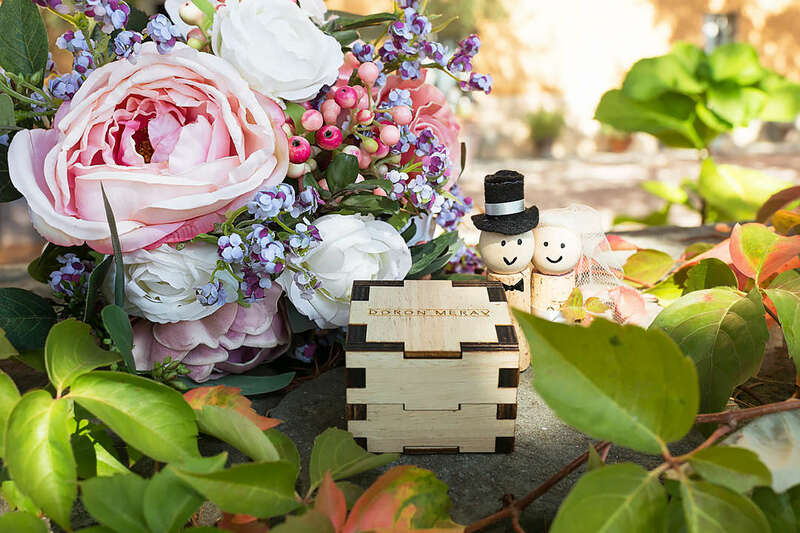 After the photo session in Montepulciano, we returned to the agriturismo on the shore of the lake, where was already prepared a beautifully decorated wedding dinner for the newlyweds, in a separate restaurant hall.